CHESTER, Ill. -- Opening statements are to begin in the murder-for-hire trial of Drew Peterson, the former suburban Chicago police officer accused of plotting to kill the state's attorney who prosecuted Peterson in his third wife's death. Attorneys are scheduled to make their opening statements Monday as jury selection wraps up. Sixty-two-year-old Drew Peterson was convicted in 2012 of first-degree murder in the 2004 death of his ex-wife, Kathleen Savio. His fourth wife, Stacey Peterson, has been missing since 2007. 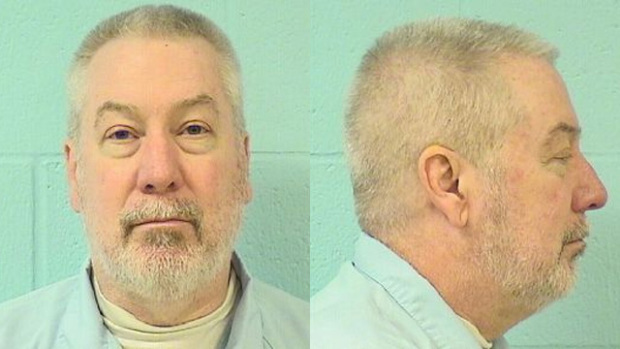 Drew Peterson is now charged with soliciting a fellow inmate to find someone to kill Will County State's Attorney James Glasgow. Peterson faces a sentence of up to 60 years if convicted of both solicitation of murder for hire along with solicitation of murder. He is serving 38 years for Savio's death.